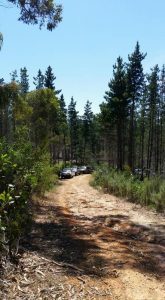 It was 8.30am on a perfect spring Sunday morning as vehicles started arriving at the Prices Bakery car park at Golden Grove Village Shopping Centre ready to take on the tracks of Mt Crawford forest. Our trip leader for the day, Peter P, had already arrived and had the club banner up for all to see, particularly for our visitors to find their way. 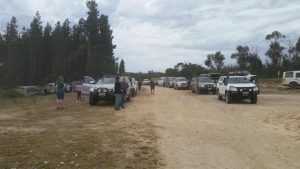 By 9.00am the car park was full of 4WDs – 22 vehicles in all – 13 club members and 9 visitors – with a further visitor to join the convoy at Williamstown on the way. With documentation completed it was decided to break into 3 groups for ease of travelling in a convoy, better communication and to make it less stressful on staff at the Mt Pleasant Bakery, our stop for morning tea, who would otherwise have to contend with about 50 people all arriving at once – that’s a lot of cappuccinos and sticky buns! Peter P led the first group, followed by Peter McV in the second and Steve N leading the third. 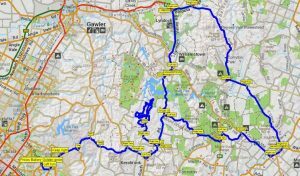 The route took us out on to One Tree Hill Road, then on to the gravel at Hannaford Hump Road and a range of other minor roads to Kersbrook, Williamstown, Lyndoch and eventually on to Trial Hill Road where we stopped briefly to admire the view over the Barossa and take photos. More back roads and only one u-turn later found us in Mt Pleasant for morning tea and a rest stop. 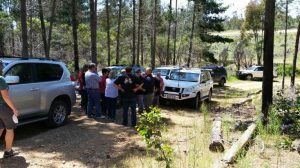 After fuelling up at the bakery we headed out of town and meandered along a range of minor, mainly good gravel roads until we arrived at the entrance gate to the forest where we were greeted by Peter Pyman with a key to allow us access onto the tracks. Once inside the forest our group decided to have a quick lunch before heading off to explore for the afternoon. 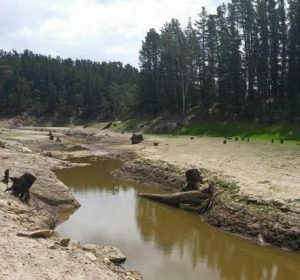 Most of the forest tracks were in relatively good condition, with many being recently graded. We enjoyed the fantastic views and panoramas afforded to us as we criss-crossed the forest on the numerous, but very dry and dusty tracks variously named KE15, KE22, KE25 etc. See the screen shot from Les’ Hema in this story as evidence of our travels. 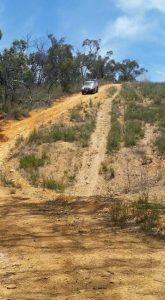 The drive enabled us to use low range on occasions, especially on some of the steeper and more rocky descents. By about 3.00pm our group miraculously arrived back at the entrance gate (must have been due to Pete and Elaine’s excellent navigation skills!) After reinflating tyres and swapping stories with the other groups on their adventures we all headed home. 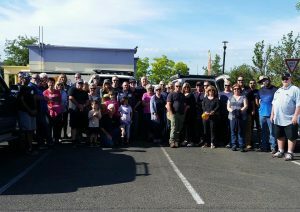 A big thank you to everyone who participated in the drive, particularly to all the visitors who joined club members to make it such a success. 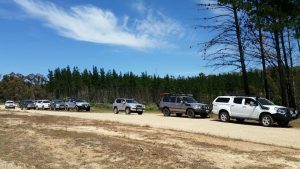 Special thanks to Peter P for negotiating with Forestry SA for access to the Forest tracks and for all the pre-planning in the days prior together with Peter McV, Steve N and Trevor B. Thanks to Maria for her photos in the report and to Les for his Hema screen shot of our travels.